Will Seth Rollins get the better of The Beast Incarnate on the upcoming episode of Monday Night Raw? With the Royal Rumble in the rearview mirror, WWE has officially kicked off the road to WrestleMania 35. There was a lot of hype surrounding the Rumble, and Creative got most of the things right at the event, and it seems things are finally changing for the better. On another note, even though the flagship show of WWE, Monday Night Raw, received mixed reviews from the WWE Universe for the last episode, it did exceedingly well in laying down the breadcrumbs for potential WrestleMania 35 matches. Also, with Elimination Chamber being the next stop on the road to WrestleMania, Creative sparked a few potential feuds for the event. While the upcoming episode is expected to build the existing feuds for the Chamber, the onus will be on the Creative to deliver once again on the upcoming episode of Raw. So, without further ado, let's take a look at 3 interesting things which could happen on the upcoming episode of Raw. 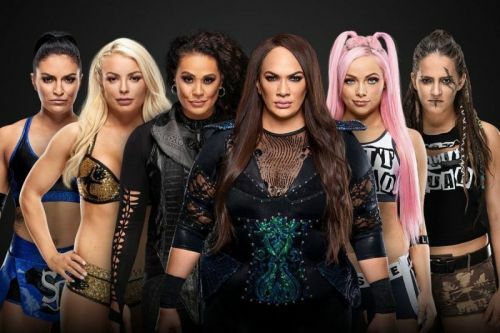 WWE has already announced it in advance that six tag teams will compete for the inaugural Women's Tag Team Championship in a tag team Elimination Chamber match. While 3 teams (2 of Raw and 1 of SmackDown) have already qualified for the event this week, we might witness the list getting completed as soon as next week. The duo of Bayley and Sasha Banks, who are not only one of the high profile tag teams on the red brand, but also one of the hot favourites to win the Elimination Chamber match, will most probably fill in one of the vacant spots. Thus, Creative could have them compete in a qualifying match on the upcoming episode of Raw to grab one of the vacant spots.